A wedding is a big day for a young couple, and a bride can go a little crazy if things go wrong. 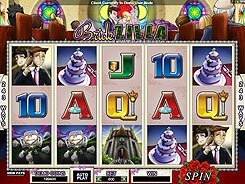 The Microgaming-powered Bridezilla slot is all about wedding, with its symbols displaying an embarrassed groom, a wedding cake, a limousine with the Just Married plate and other themed icons. 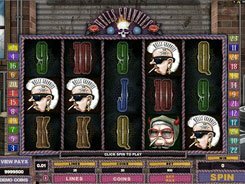 The gameplay is based on a 243 ways to win system, so winning combos are created by matching symbols that appear on subsequent reels from the far left reel. 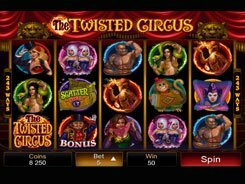 Players can configure the number of coins and a coin size placing a bet that varies in size from $0.3 to $60. 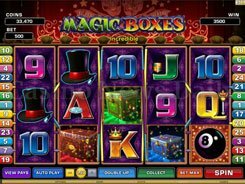 The slot has a wild with a traditional substituting power, yet the most intriguing feature is activated by 3+ scatters (Ringing Bells). 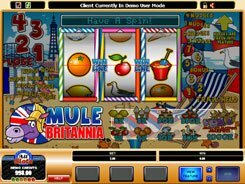 In the Bridezilla feature you are initially awarded 10, 15 or 20 free spins, but during the free spins Bridezilla appears after every non-winning spin and adds extra free games and bonus multipliers. 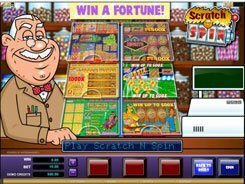 Besides, scatters pay out on their own, with 3 to 5 awarding x150 to x12,000 times a total bet.